The increasing demand for organic produce is driving the need for more organic produce testing by certified soil testing labs. AUSTIN, Texas - Nov. 29, 2018 - PRLog -- Once considered a niche product, organic produce sales are on the march. Today's health-conscious consumers are willing to pay a premium for the perceived quality benefits of organic foods, which are poised to grab additional market share as new industry players, such as Amazon with its acquisition of Whole Foods, enter the retail grocery market. 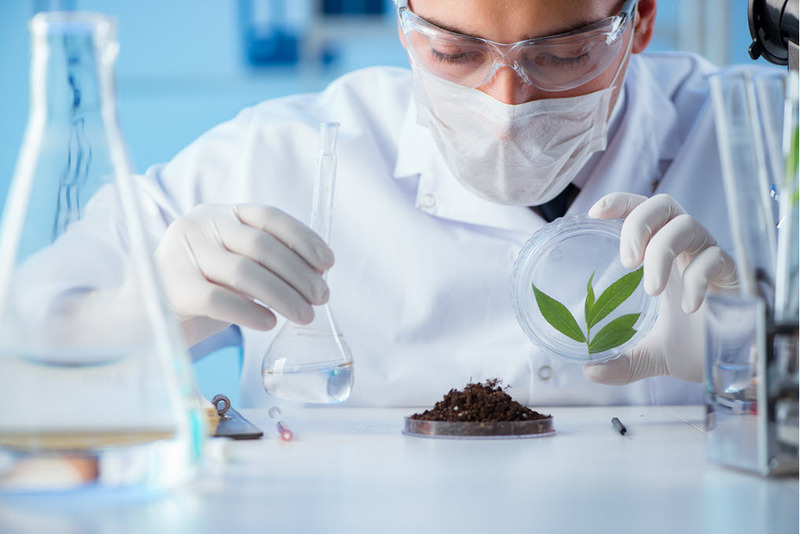 The increasing demand is also driving the need for more organic produce testing by certified soil testing labs (https://formaspace.com/laboratory-furniture/instrumentation-tables/) — a trend we heard loud and clear at Pittcon 2018. As the saying goes, "If You Ate Today, Thank a Farmer." And indeed, we should. Since World War II, the Agricultural Revolution has spread around the world, allowing farmers to increase their production yields dramatically. Despite predictions to the contrary, modern agriculture is now able to feed a world with 7.6 billion hungry mouths. But now, more and more consumers, particularly in western countries, are taking a closer look at the food we eat. Studies (https://academiascholarlyjournal.org/ijarsfs/publications...) show that an increasing number of consumers are considering organic produce purchases. Why? Many consumers now believe that organic produce is a superior, higher quality product. Overall, American consumers are increasingly concerned. They are worried about the obesity epidemic in children, and the potential impacts of pesticide residues in our food supply. As a result, an increasing number of shoppers are educating themselves about what they eat. From "Eat Local" and "Farm–to–Table" campaigns that promote sustainable agriculture, to new food consumption trends such as "gluten-free" diets, and awareness of "GMO-Free" labeling, consumers are showing an increased awareness about where their food comes from and making new purchasing choices as a result. Compared to American consumers, European consumers tend to be even more selective in their food consumption preferences. In fact, consumer protests by Europeans (who reject what are perceived of as "lax" American agricultural practices, such as using chlorine to process chicken (https://www.globalmeatnews.com/Article/2018/03/07/Of-chlo...) and the introduction of GMO-based products) are widely credited for scuppering the long-standing TTIP trade negotiations between the US and Europe (https://www.bbc.com/news/world-europe-33055665). We haven't seen the last of these controversies. Bayer's pending acquisition of Monsanto, makers of the pesticide glyphosate (marketed as Roundup®), has reignited the row in Europe over pesticide usage in the food chain (https://www.politico.eu/article/5-takeaways-from-eu-green-light-for-bayer-monsanto-agribusiness-glyphosate-mega-merger/). Publicity surrounding the issue may ultimately drive increased preference for organic produce, both in Europe and here at home. While organic produce sales are way up, there are some constraints on future sales growth that need to be addressed. The first issue is cost. Organic produce commands a premium price (https://www.ers.usda.gov/amber-waves/2016/may/investigating-retail-price-premiums-for-organic-foods/), which is due to a number of factors, including scarcity (organic farm production has not kept up with increasing demand). While a Journal of Consumer Affairs study (https://onlinelibrary.wiley.com/doi/abs/10.1111/joca.12092) indicates that organic food consumers are willing to pay a price premium of 30% over conventional food products, spending additional money on food is not an easy option for disadvantaged/underprivileged households who are struggling to purchase groceries. The second issue that is limiting the mainstream adoption of organic food products is the issue of "Food Deserts (https://www.ers.usda.gov/data/fooddesert/)", which is the term that researchers use to describe neighborhoods (often underprivileged) that do not have green grocery stores nearby. The food desert issue has become so critical that the Salvation Army is opening its first grocery store (https://www.huffingtonpost.com/entry/salvation-army-opens-grocery-store_us_5aa6a6b7e4b087e5aaec85d4), in Baltimore, to address the issue. Market forces may be at work to solve the twin problems of high cost and limited availability. "Buy Local" and "Farm-to-Table" campaigns are opening up new distribution channels, as consumers flock to local farmers markets. Consumers are also showing an interest in purchasing monthly allotments of produce (known as "shares") directly from farmers. But as romantic as the notion of buying organic produce directly from the farmer may be, it's small potatoes (pardon the pun) when compared to the impact of Walmart's grocery sales, which are estimated to account for 33% of US grocery retailing (https://pdfs.semanticscholar.org/43e9/a2db0d9eb41326f88a3b4557c111343af43c.pdf). But wait! As of last year, we now have a 1,000-pound gorilla in the grocery retail market. Amazon's purchase of Whole Foods (https://www.businesswire.com/news/home/20170824006124/en/) appears to presage increased growth (and possibly lower prices) for Whole Foods' organic produce moving forward (https://www.thepacker.com/article/year-produce-no-2-amazon-and-whole-foods). Walmart is looking over their shoulder at the Amazon / Whole Foods duo. Meanwhile, the notoriously low-margin grocery retail business continues to see more turmoil, such as the recent bankruptcy restructuring of Southeastern Grocers (https://www.segrocers.com/-/media/segrocers/media/pdfs/release_southeastern%20grocers%20financial%20restructuring.pdf?la=en), the parent company of Bi-Lo and Winn-Dixie, which is having to close 94 of its 582 stores. Despite the jockeying for position among top grocery retailers, the organic produce market seems poised for increased growth.